Casey Casey is designed by Gareth Casey, and manufactured by hand in Paris, France. They strive to revive the idea of ateliers and reignite appreciation for handmade craftsmanship. Originally, ateliers were a private workshop or studio, and standard vocational practice for European artists in the middle ages. Until the 19th century, they housed artisans and painters, many of whom would train apprentices. Nowadays, ateliers are most closely associated with haute couture. This may not be too removed from the original use, considering fashion in itself is an art form. 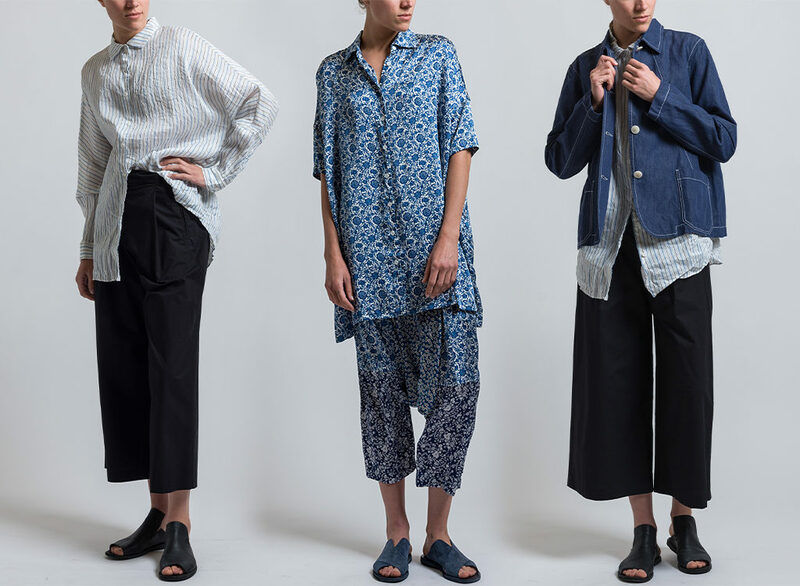 Sensible, wearable and pragmatic clothes are what Casey Casey is best known for. Unconcerned with trends, they focus on creating work that can best be described as what they want to wear, or what they’d like to see be created. Becoming so removed from the system that creates the latest craze in your line of work may sound like a mistake, but this may be the very thing that has attained such success for Casey Casey. Being aware of the trends while remaining impervious to their influence is a difficult feat. Being able to produce clothes that are unique is equally as challenging, but somehow Casey Casey has managed to do both. Their recipe to success is very similar to following the principles of good design, as they simply wish to create functional work that never goes out of style. 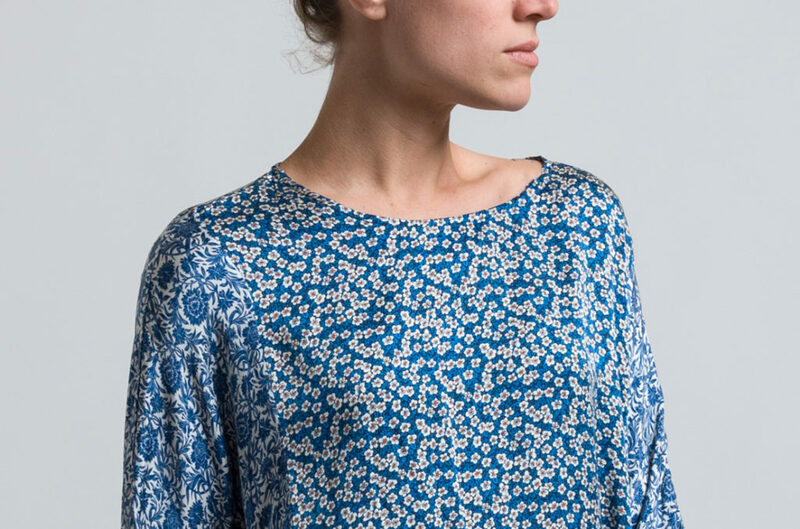 From the fabric in use to the shape of the garments, every aspect has been highly considered. There are a variety of textures at work in this collection, from sleek silk textiles to rough linen. The color palette is constrained to blue and yellow tones, with the occasional pop of orange. There are numerous patterns with variations in scale. Airy stripes sit among tightly laced liberty print, and mingle with textured and frayed orange and baby blue polka dots. Although the fact that there have been some French workwear inspirations within Casey Casey’s work over time, this does not mean their work is typical. 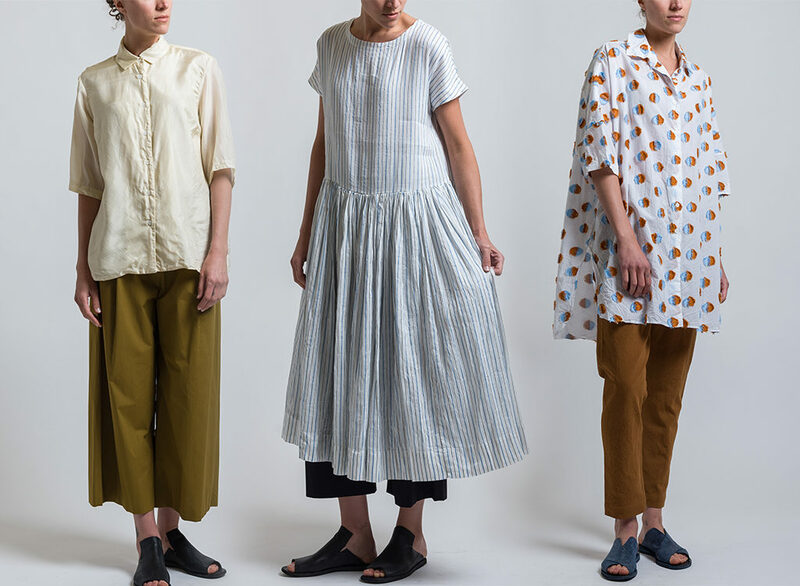 For every collared top, there are an equal amount of surprises that come in the form of drop crotch pants in silken textiles, button-ups with extreme drop shoulders, and flowing dresses in rough, yet wearable linen. According to interviews with those who work at Casey Casey, their customers are often “filmmakers, architects or artists…people who understand well-made objects and want to be original,” or those who “buy their clothes for decades, not seasons.” Although there is no way to stereotype an entire client base, there is no denying that those who become enchanted with Casey Casey are people who appreciate thoughtful design that is as dependable as it is unique.